An insight into how the Imago dialogue can re-align a romantic relationship when struggles arise. In any romantic relationship, it’s common to swing from conflict to hope; at some point in a relationship, a couple will often find themselves struggling with anger, shock, despair or sadness. This could be: newlyweds who can't understand how they’ve dived from the heights of love into a morass of conflict or a long-standing couple lamenting that they have nothing in common any more and co-existing for the sake of the children. Dr Harville Hendrix, who developed Imago therapy, believes that we all begin life in a state of relaxed, joyful bliss: if our caregivers are tuned into our needs, then the feelings of aliveness and strong emotional wellbeing are sustained, essentially we remain whole. But, even in the best of circumstances, our parents aren’t perfect and every unmet need causes fear and pain and in our infantile ignorance, that we are unable to rectify and restore a feeling of safety. As a response, we adapt primitive coping mechanisms ranging from constant crying to get attention to withdrawing inwardly and denying that we even have needs. Meanwhile, throughout our childhood we are also being socialized, moulded by our caregivers and communities to fit into society. We learn what to do to gain love and acceptance, we repress and disown parts of ourselves that society finds unacceptable or unlovable. It can be said that all of us were wounded in childhood to some extent. What is really happening when we fall in and out of love? When we fall in love we believe that we have found that sense of joyful aliveness again. Suddenly we have someone who really makes us feel whole, we are sexier, cleverer, funnier more giving etc. and we feel safe and at home. are different from who we thought. Disillusionment can turn to anger and the power struggle has begun. So what is happening? You have found an Imago partner, someone who is unqualified (at the moment) to give you the love you want, the love they were supposed to give you. Harville explains that we all think we have freedom of choice when it comes to a partner, but our unconscious actually has its own agenda. Our 'old brain' has a compelling drive to repair the damage done in childhood, as a result of unmet needs. The subconscious is on a mission to find a partner who can give us what our caregivers failed to provide, it’s looking for someone who carries all the positive and negative traits of our caregivers. 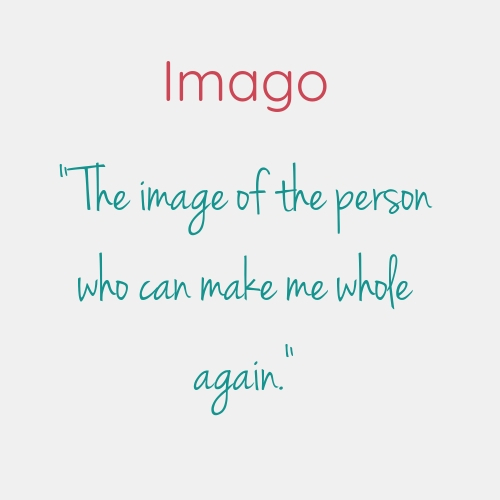 Although we consciously look for only the positive traits, our old brain selects the negative as well, seeking a purpose for us to heal those traits.The image of 'the person who can make me whole again' is called the Imago. Another powerful part of our Imago is that we seek the qualities in ourselves that we lost in socialisation. If we are shy we seek someone outgoing, if we are disorganised we look for someone organised etc. Eventually our own feelings, the repressed exuberance or anger is stirred because we can’t be these traits and we become uncomfortable and criticise our partners for being too outgoing or too coldly rational etc. Divorce does not solve the problems of relationship. We may get rid of our partners but we keep our problems, taking them into the next relationship. Romantic love is supposed to end. The power struggle also is supposed to end. Regardless of what we believe, relationships are not born of love, but of need. Real love is born in relationships. The goal of the Imago practice is to change the power struggle between your mind and your partner, and set you on a path of real love. It’s common that many couples' problems are rooted in misunderstood, manipulated or avoided communications. Using the Imago dialogue you can restructure the way you talk to each other. We’ve learnt that whenever two people are involved, there are always two realities. The reality of the other person can be understood and accepted but not made identical to our own. The Imago dialogue is then turned into action: we give our partners what they need and not just what is easy to give. In a conscious relationship we agree to change to give our partner what they need and as we do that we heal our own painful experiences. In giving our partners what is hardest to give, we have to bring our hidden selves into the light, owning and enlightening parts of ourselves. We stretch to conquer our fears and do what comes unnaturally. 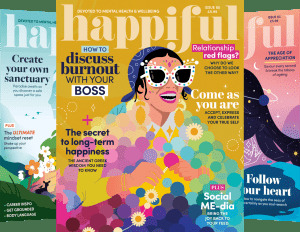 Over the course of time as our partners demonstrate their love for us, as they learn about and accept our hidden selves, our pain and self absorption diminishes. We restore our empathetic feelings for our partners and see them for themselves and not merely as extensions of ourselves. A conscious relationship is a spiritual path which leads us back to the feeling of joy and aliveness. All through the course of Imago practice we learn to express love as a daily behaviour, in different ways we stretch to give our partner what they need and we learn to love. This is not an easy and quick process but a positive journey.